Tatranská Štrba is a settlement situated 4 km north from the village Štrba, which has a fast train station with the highest elevation in Slovakia. It was founded in 1880. At the beginning, the population was crowded close to the railway station, later it expanded to the surroundings. A habitation area with 11 blocks of flats and hotels was built in the 1970´s and 1980´s, as a result of the World Ski Championship in 1970. 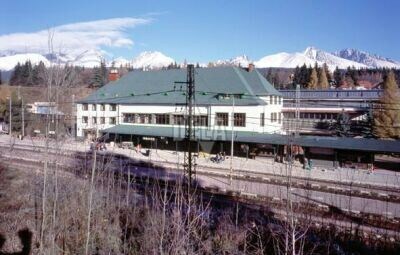 It is an important starting point for the hikes to the western part of the High Tatras. A mountain railway to Štrbské pleso (Štrbské Mountain-lake) starts here. The population of Tatranská Štrba is nowadays of about 1400 people. Note: Local part of the village Štrba.